A Toledo, Ohio, grand jury returned a three-count indictment against Yahya Farooq Mohammad today, charging him with soliciting the murder of a federal judge, announced U.S. Attorney Barbara L. McQuade for the Eastern District of Michigan. U.S. Attorney McQuade was joined in the announcement by Special Agent in Charge Stephen D. Anthony of the FBI’s Cleveland Field Division and U.S. Marshal Peter J. Elliott of the Northern District of Ohio. Mohammad, 37, from the United Arab Emirates, was charged with attempted first degree murder of a federal officer, solicitation to commit a crime of violence and use of interstate commerce facilities in commission of murder for hire. Mohammad was indicted last year on charges of conspiring with three other men to travel to Yemen to provide thousands of dollars to Anwar Al-Awlaki in an effort to support violent jihad against U.S. military personnel in Iraq, Afghanistan and throughout the world. That case remains pending and is assigned to U.S. District Judge Jack Zouhary of the Northern District of Ohio. In the most recent charges, Mohammad is accused of soliciting someone to kidnap and murder Judge Zouhary. On April 8, Mohammad allegedly told another inmate in the Lucas County Corrections Center in Toledo that he wanted Zouhary kidnapped and murder. That inmate then introduced Mohammad to an undercover FBI employee, according to the indictment. The indictment alleges that Mohammad told the inmate that he was willing to pay $15,000 to have Zouhary killed. Mohammad also allegedly told the undercover employee that he could send a down payment through a mail courier or that the undercover could meet Mohammad’s wife in Chicago to pick up the money. When asked when he wanted the murder committed, Mohammad stated: “The sooner would be good, you know,” according to the indictment. On May 5, Mohammad’s wife, identified in the indictment as N.T., met the undercover agent at a post office in Bolingbrook, Illinois, and provided $1,000 in cash inside a white envelope, according to the indictment. On May 11, Mohammad informed the inmate that the rest of the money for the murder was coming from Dubai to Texas to Chicago to N.T., and then to the undercover agent, according to the indictment. According to the indictment, on May 16, the undercover agent and N.T. met, and the undercover agent showed N.T. a photograph that purported to be of Zouhary’s dead body. The undercover agent told N.T. he needed the rest of the money owed to him. N.T. said she would contact Mohammad and then she would contact the undercover agent, according to the indictment. The case is prosecuted by Assistant U.S. Attorneys Michael Freeman and Matthew Shepherd of the Northern District of Ohio following an investigation by the FBI. The U.S. Attorney for the Northern District of Ohio has recused herself from this case. 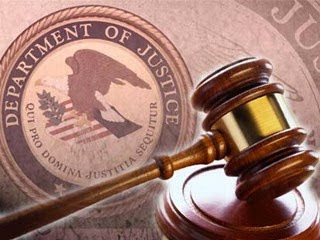 If convicted, the defendant’s sentence will be determined by the court after review of factors unique to this case, including the defendant’s prior criminal record (if any), the defendant’s role in the offenses and the characteristics of the violations. Counts one and two of the indictment carry a maximum statutory penalty of 20 years in prison and count three carries a statutory maximum penalty of 10 years in prison.